Sitting at his desk in Sts. Louis and Elizabeth resident assistant office, David Romero twirled a pen with his fingers as he tried to describe what it means to be a resident assistant at Franciscan University of Steubenville. 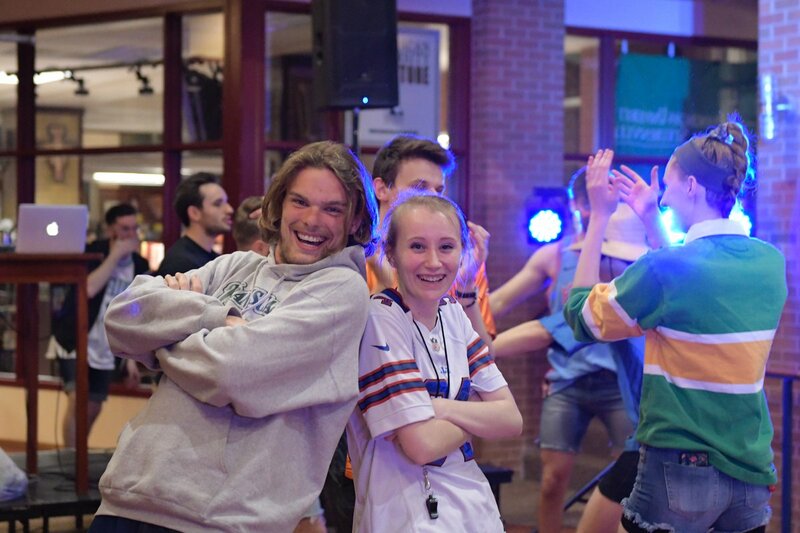 Romero, in his third year as a resident assistant, is one of 42 resident assistants spread across 10 residence halls and Assisi Heights tasked with caring for the estimated 1,600 on-campus students at Franciscan University. As resident assistants, Romero and his peers are primarily responsible for assisting the growth of university students, building community within their individual residence halls and enforcing university policies. 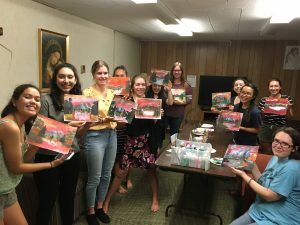 Like most ministries, each resident assistant has a different way of reaching his or her residents, but one of the biggest is by putting on a variety of programs. Earlier in the semester, Gabriele put on a “Dom’s Spaghetti” event in one of the lounges in his hall, where he served Italian food from Scaffidi’s Restaurant & Tavern and set the room up to look like the Italian restaurants in movies, complete with a “Wall of Fame” featuring photos of the other resident assistants in the hall. Several of his residents came to spend time and eat together while the sounds of Dean Martin, Andrea Bocelli and other Italian crooners played on. 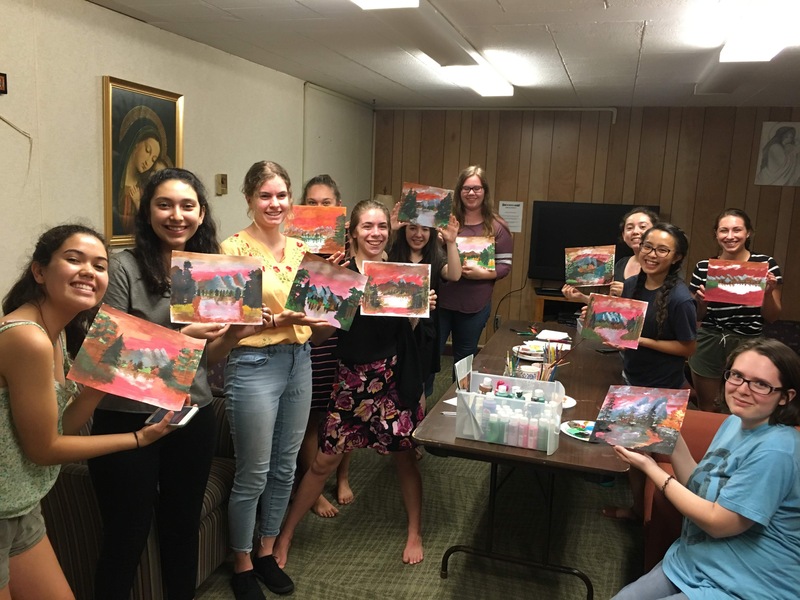 Anne Sweeney, a resident assistant in Marian Hall, put on a “Bob Ross Painting Night” where residents watched videos of noted artist Bob Ross and painted “happy little trees,” as Ross was known for. Katie Davis of Sts. Kolbe and Clare residence halls held “Cocoa and Coloring” as a pre-finals week de-stresser, which was a big hit. While social programs are great for building community, resident assistants are also sure to be available to students who want more one-one-one interaction. 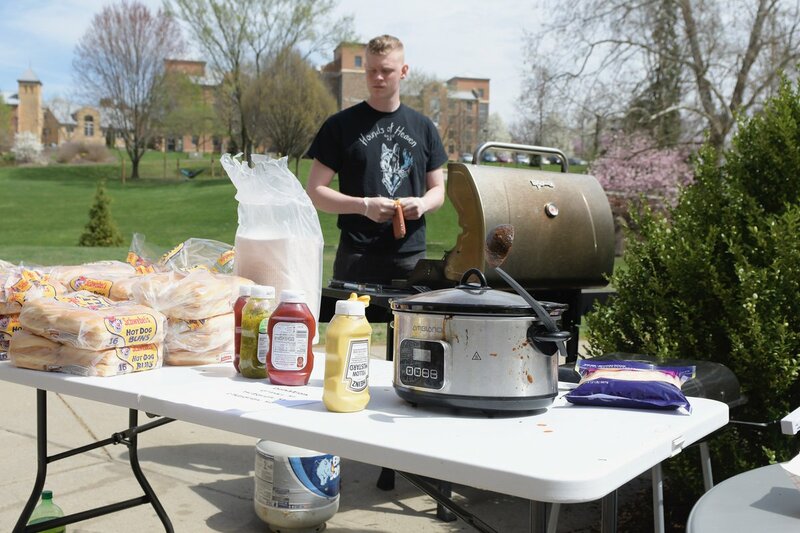 While many students see resident assistants in a favorable light, there are others who see them as ruthless rule enforcers or snitches, a stigma the resident assistants understand but hope to change. In the end, Zottoli said, the hard work and sacrifices – crazy emergencies, early-morning staff meetings, sleepless nights and more – are worth it because she wants her residents to have the best experience possible.